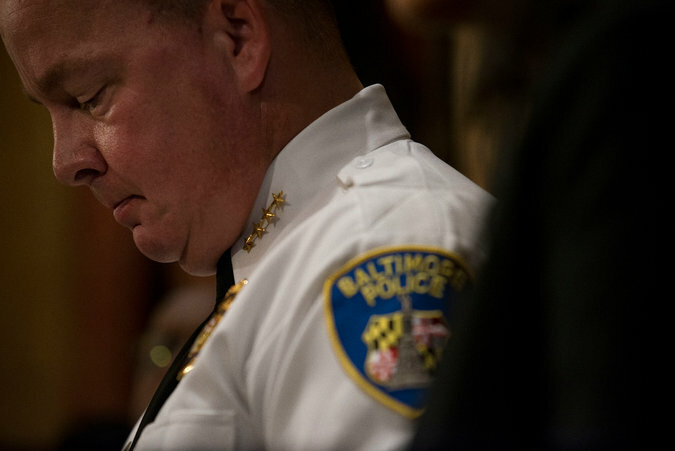 Besieged by the nation’s highest big-city murder rate, Baltimore named a new police commissioner for the third time in five years on Friday, with the mayor saying she was “impatient” for change. The surprise move came as the city struggles to control the violence that took the lives of almost 900 residents during the two-and-a-half-year tenure of the last chief, who was fired on Friday. The new commissioner, Darryl De Sousa, 53, inherits a long list of problems that have proved intractable for predecessors, including a near-total lack of trust of the police in many neighborhoods and stunning levels of privation along the city’s most violent streets, even as employment rates have improved and areas like the Inner Harbor have become gleaming tourist destinations.“We need the numbers to go down faster than they are,” Mayor Catherine Pugh, who has been in office for a year, said at a news conference announcing the change. For its long-troubled police force, the city has tried an outsider from California via Harvard, who was seen as an agent of change, then a Marylander who was chief of police in a neighboring county. Now, it has changed tack again, appointing in Mr. De Sousa, an insider who has served in the department for 30 years. Mr. De Sousa will be Baltimore’s ninth police commissioner since 1994. Mr. De Sousa said he had already begun an initiative to flood the city’s streets with waves of officers from 9 a.m. to midnight. “The priority as of this moment right now is really simple — it’s a really simple priority, and that’s violence reduction,” he said. “Second priority is violence reduction, and third priority is violence reduction at an accelerated pace. That’s the bottom line.”But residents questioned whether more officers, or another new chief, would be enough. The department has faced allegations of corruption and is operating under federal oversight because of unconstitutional searches and police misconduct aimed at African-Americans. Six members of an elite task force pleaded guilty last year in a scandal that involved stealing guns, money and drugs. And other officers have been accused of shutting off body cameras so they could plant drugs. In 2015, the city erupted after the death of Freddie Gray from injuries sustained in police custody. In many ways, both the police and predators have come to be viewed as dangers.“People are not used to having a relationship with the police department where we see them as a helping resource,” said Erricka Bridgeford, an influential community activist and one of the organizers of Baltimore Ceasefire, an anti-violence group. “The challenge is really finding a way to build trust with individuals.” Officers often do not get the time to build trust and relationships, she said. With about 615,000 residents — almost two-thirds of them black — Baltimore is one of the poorest major cities in the United States. Nearly one in four families live in poverty, far more than the national average. 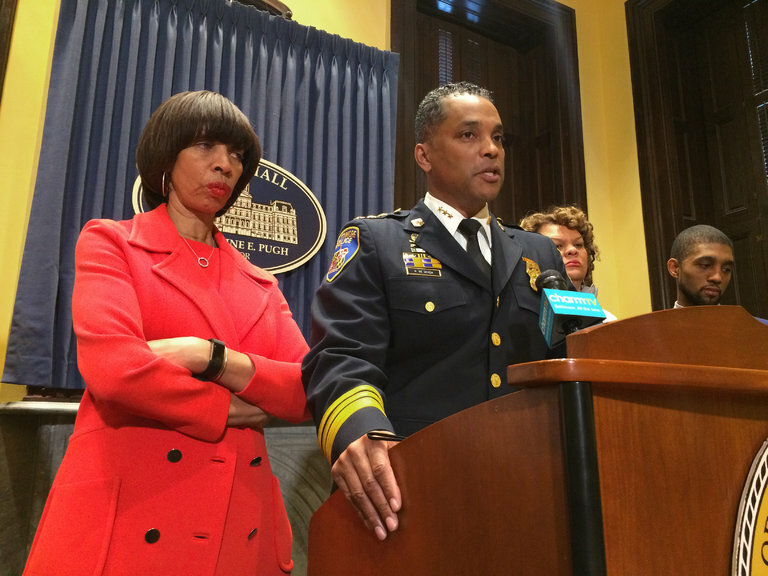 The city has recorded more than 300 homicides in each of the past three years. By comparison, New York, whose population is more than 10 times greater, recorded 286 murders last year. Los Angeles — another major city that has seen murder totals over the past two decades fall to numbers below Baltimore’s — announced Friday that its police chief, Charlie Beck, would retire after eight years heading the department. “This idea of ‘throw another thousand cops out there’ I don’t think fixes our crime problem,” said Nick Mosby, who represents West Baltimore in the State Legislature.Mr. Davis in 2016. Community leaders had applauded his commitment, but murders continued apace. Mr. Mosby said that Commissioner De Sousa’s Baltimore roots may give him a leg up in efforts to heal police-community relations. But he fears that will only go so far. Deeper change won’t come until more residents have a real chance at education and economic opportunity, he said. “The concentration of poverty is the story of Baltimore,” Mr. Mosby said.